More than raising money, Zeeland’s Historical Home Tour is about neighbors being neighborly. That’s what tour organizer Anna VanDeventer of Zeeland said about the annual tour sponsored by the Zeeland Historical Society. The sixth annual tour is 10 a.m. to 3 p.m. Saturday. “This thing we started six years ago, it had not really anything to do with raising money. It had everything to do with trying to pull the community together,” VanDeventer said. “We live in a world where everybody’s got a garage-door opener and everyone just drives into the garage and no one ever sees each other. Still, the roughly $30,000 raised for renovations to Zeeland’s historic New Groningen Schoolhouse through the first five years of the tour is a nice added benefit. The tour features 10 Victorian homes, all over a century old. The theme of this year’s home tour, “A Stitch in Time,” centers on quilts. Guests will be able to view historic family quilts at the Dekker Huis/Zeeland Historical Museum, 37 E. Main Ave., in several of the homes, and at Parkview Adult Foster Care Home, 214 E. Central Ave., where quilts will be displayed on the front porch and on a bed in the yard. “One of the quilts in the museum belonged to a member of the VandeLuyster family, the original founders of Zeeland. It’s made out of neckties and is well over a hundred years old,” VanDeventer said. As in previous years, the tour will start at the Dekker Huis Museum, from where tour guests can choose to be transported to the homes in vintage automobiles driven and provided by the Vintage Car Club of Holland. Entertainment and refreshments will be provided along the tour. “We have approximately 800 cookies being baked to give away. The children are giving away free lemonade. The kids will be in old outfits sewn by their grandmothers for the occasion,” VanDeventer said. The tour will be followed by an “old-fashioned gathering” from 5 to 7 p.m. on Church Street in front of VandeLuyster Square for tour volunteers, homeowners and the public. Local bluegrass band Fiddle Fire will play music and teach dancing, and picnic food will be available for purchase, including “fried chicken and all the trimmings,” VanDeventer said. “It’s an event that used to take place in the 1900s where the local businessmen saluted all the patrons that supported them throughout the years — sort of a farmers’ picnic,” Frederick said. 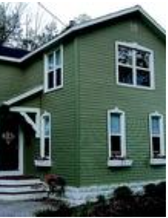 Zeeland’s Historic Home Tour is Saturday from 10 a.m. to 3 p.m. 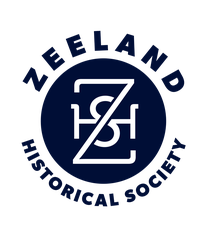 The tour starts at the Dekker Huis/Zeeland Historical Museum, 37 E. Main Ave.
Tickets are $20 in advance or $22.50 on the day of the tour and can be purchased at the Zeeland Chamber of Commerce, 149 E. Main Ave., Zeeland Hardware, 122 E. Main Ave., and Bunte’s Pharmacy, 111 E. Main Ave.
A free quilt show at and an art show at adjoining VandeLuyster Square will occur at the same time as the home tour. A free gathering with food, entertainment and dancing will follow the tour from 5 to 7 p.m. on Church Street in front of VandeLuyster Square.Food at the gathering costs $4 for children under 10 and $8 for adults. For more information, contact the Zeeland Historical Society at (616) 772-4079 or visit www.zeelandmuseum.org.